We are always looking for fun new egg-dying ideas and products. This year I was walking through the Target Easter section and saw these new PAAS Color & Hide Dyeable Plastic Eggs. While we are always trying to minimize the amount of plastic we use, we thought - if they turned out ok - these might be keepsakes we can bring out around this time each year. At Target, the kit cost $4.00 plus tax. As of now, Amazon looks sold out. The instructions were super easy. 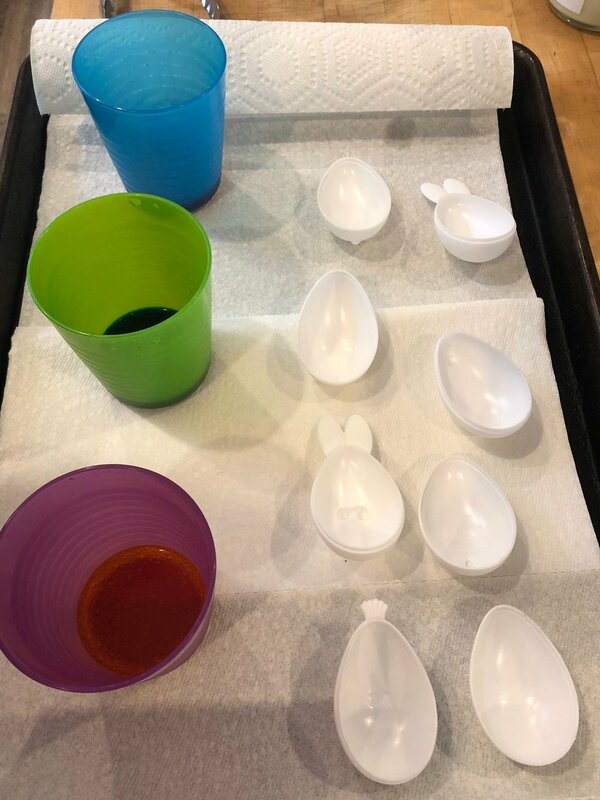 Drop one dye tablet in each cup. Add one tablespoon of white distilled vinegar to each cup. When the tablet stops fizzing, add warm water. Then we just popped the eggs in half and dropped them in the dye. The instructions say that for best color, the eggs need to stay in the dye for around 5 minutes. My five-year-old was very pleased! We did leave them in a little longer than 5 minutes though. Just a heads up, they do take a little while to fully dry - maybe 30 minutes or so. We also had to wipe the inside of the eggs with a dry paper towel - to get it to dry. Once the eggs dried, it was time to decorate! The kit includes a little black marker. Love how these turned out! We added my son’s name and age on the inside with the marker and hope to bring these out year after year. For $4.00, this was a great little afternoon activity. Plus, now we have little eggs keepsakes we can pull out every year and stuff with candy.